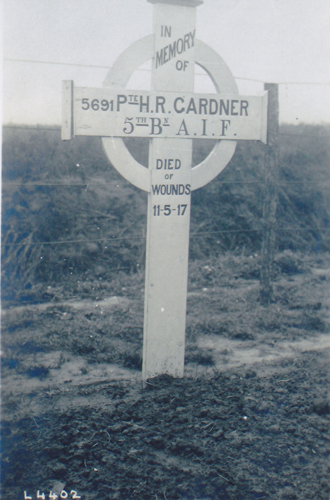 Herbert Gardner, the son of George and Jessie Gardner of McKinnon’s Post Office Mardan South enlisted in the 5th Battalion on 14th February 1916. 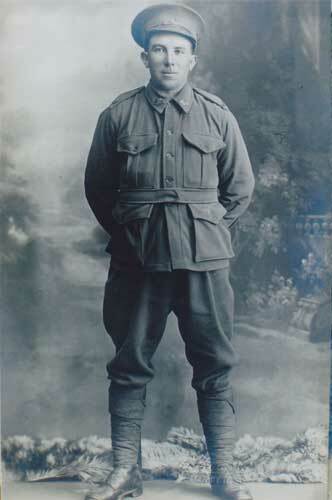 He embarked on the ‘Tunisian’ and joined the British Expeditionary Forces in Alexandria. He then embarked at Marseilles and was wounded in France on May 11th 1917. 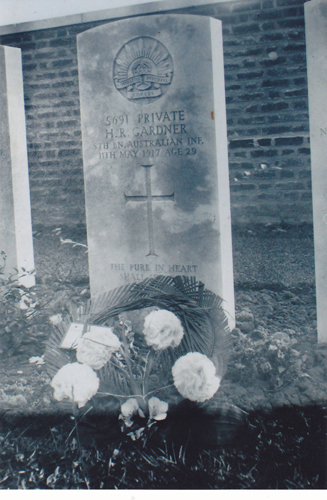 He died of his wounds on May 15th and is buried in the Grevillers British Cemetery. He was 29 when he died.